There are many different types of bikes. A motorcycle is typically a two-wheeled vehicle run by a small, loud engine. These vehicles are basically motorized bicycles. But are structured with heavier, sturdier and more complex parts, implying that a motorcycle is more machine than the bicycle. Motorcycles have various uses, but the obvious primary use is to ride. To serve as a form of quick transportation. Other uses: military and law enforcement, sports/racing, touring, serving as a symbol of freedom and depending on who is riding it. Motorcycle conventions also allude to yet another purpose for the motorcycle: a showpiece! Motorcycles, like automobiles, are also works of art for those who are mechanically inclined. Like to showcase their unique and innovative machines (concept bikes). Motorcycles built for riding on paved and public roads. These motorcycles have shallow treads and 125cc engines capable of reaching 100 mph (160km/h). Some can go over 125 mph (200 km/h). These aren’t designed for racing, but merely for public transportation. They have license plates, blinkers, and other accessories necessary for riding on public roads. Reminiscent of the style of American machines during the 1930s through the 1960s. These motorcycles are designed for long distance riding and provide some comfort. Harley Davidson, Excelsior, Henderson, and the Chopper are cruisers. Performance bikes that are usually lighter and smaller in structure than the cruiser. 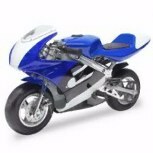 These motorcycles are racing bikes and have four-cylinder engines ranging 600cc to 750cc. “Superbikes” can also provide up to 1,000cc. 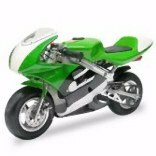 These motorcycles offer large displacement parts, to protect from inclement weather. Heavy winds; high-torque engines; comfortable, upright seating positions; and large capacity fuel tanks for long-range mileage. Types of tour bikes include Full-dress Tourers, Standard Tourers, Global On+off Road Tourers, and Sports Tourers. Reduced in parts to its essentials, this bike emphasized function, performance. Ergonomics over the appearance that is a preferred feature of the sports and tour bikes. These motorcycles are also referred to as “street” bikes. The Yamaha Seca II is a fine example. Motor Scooters are short distance motorcycles with small wheels (357 mm or 14 in. in diameter) and engines in the swing arm. Typically, these run less than 125cc, but some larger scooters exceed 250cc. One popular scooter is the Honda Lead 80. A bicycle/motorcycle hybrid with a two-stroke engine that goes up to 50cc. These have to demand to license in some localities. But their popularity dropped in the mid-1980s, but they are still used today. These include dirt bikes and are built for rougher terrain. But they have larger, deeper-treaded tires, small engine, long suspension travel. High ground clearance, and no street accessories. These motorcycles have engines that comprise two strokes at a single cylinder. Or four strokes at a single cylinder, and can go as low as 50cc or as high as 750cc, depending on the age of the riders and the size and style of the engine. Trial bikes, which go no more than 250cc, are off-road motorcycles. But these are used for Motocross and Enduros. These are “on-off road” bikes. They are similar to the “off-road” motorcycles. But they are equipped to ride on public roadways as well. A variant of the trial bike, this motorcycle was used by dairy farmers in New Zealand during the early 1960s. However, these are low-pressure motorcycles used for easy transportation. A specialized motorcycle used in track cycling for blocking air-resistance for racing bicycles. Designed by a Swedish company, this motorcycle has a high torque engine and retractable trailer for towing cars and light trucks. But the only one in existence is the Retriever, an altered form of the Honda GL 1800 Gold Wing. These are prototypes created to measure the response to innovative designs. New and unique technologies, cost-effectiveness and other factors. However most are never realized, but a small few are released in compromised combination. Form taking into consideration marketing realities, public reaction and preference, and manufacturing capabilities. Different types of bikes are the rage of the road and off the road. However, these machines are as inspirational as they are dangerous. They require as much respect as they do training and practice to operate. But if treated well, motorcycles will treat riders well. Its here at last – Minimotos4u brings you the only minimoto guide you will ever need!! “If you own a minimoto/mini dirtbike, then this guide is a “must-have!” It completely covers everything you need to know about maintaining and modifying your 47 or 49cc Chinese air cooled minimotos/ mini dirtbikes”!